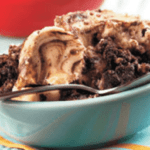 Buckeye Brownies are a rich chocolate dessert made with the best combination of ingredients- chocolate and peanut butter. 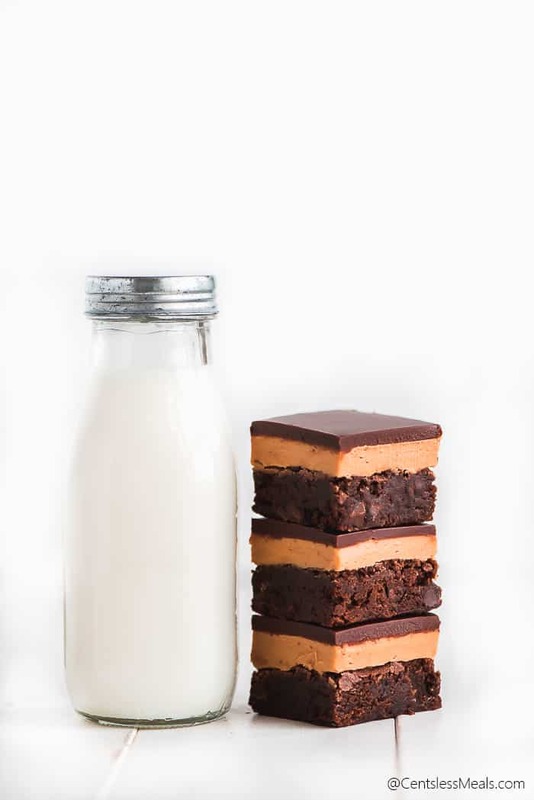 The combination of chocolate and peanut butter is a match made in heaven, especially in these Buckeye Brownies. 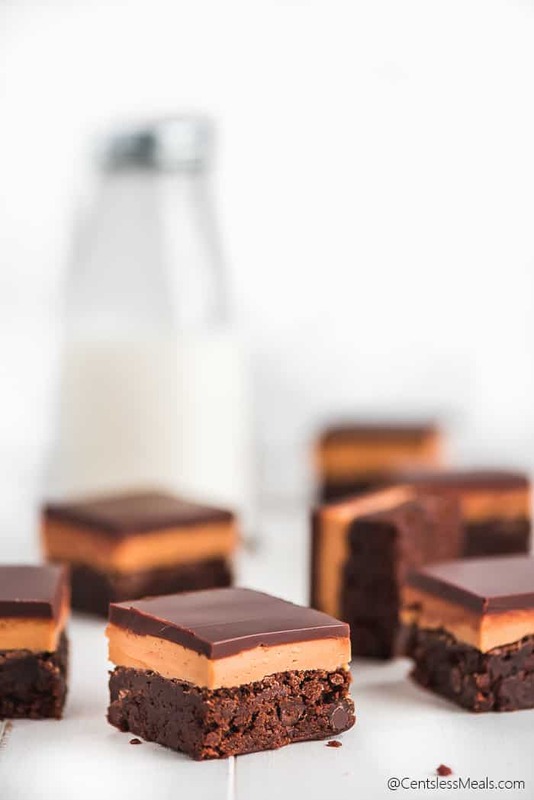 Rich chocolate brownies with a creamy luscious peanut butter layer, and topped with a gorgeous smooth chocolate ganache. 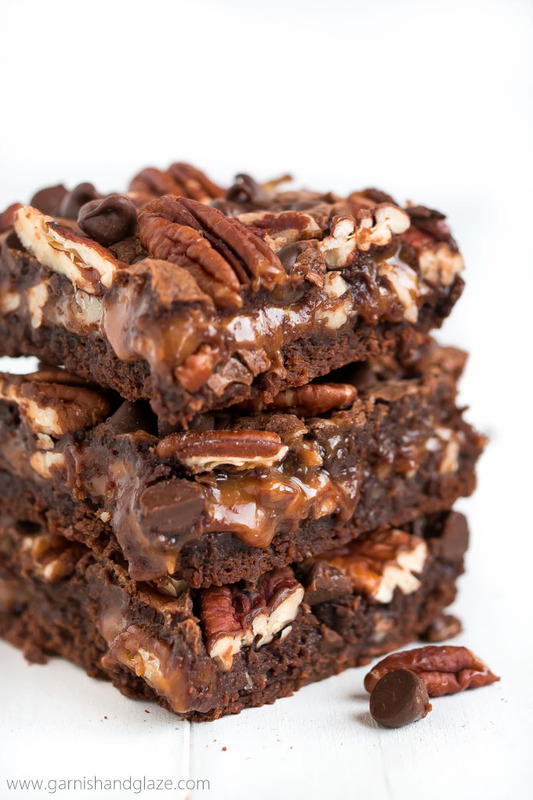 Peanut butter brownies never tasted so good! 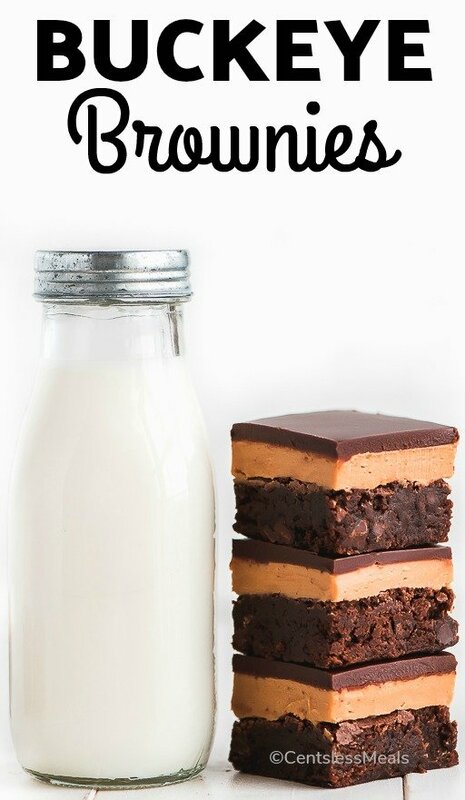 What is a Buckeye Brownie? Buckeye Brownies are a spin on the popular no bake peanut butter ball dipped in chocolate. This is basically the same thing but has the addition of brownie. And this isn’t just any brownie. It’s a homemade brownie loaded with chocolate chips. While the brownies are cooling, make the thick peanut butter layer. This too is super easy. Just melt the butter and peanut butter together and mix in some vanilla and powdered sugar. Then spread it over the cooled brownies. Pop in in the freezer or fridge so it firms up. The last step is to make the ganache. Place the chocolate and butter in a small sauce pan and heat slowly while stirring until melted. Let it cool slightly and then pour it over the top. Spread evenly and then pop it in the fridge again until set. Lift the brownies out with the foil and then slice into squares. 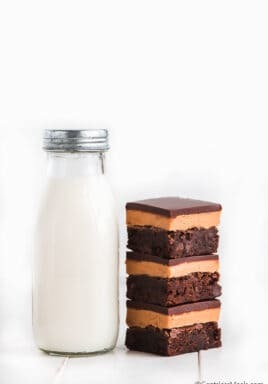 If you like Peanut Butter Fudge or Peanut Butter Bars, you’ll for sure love these brownies. 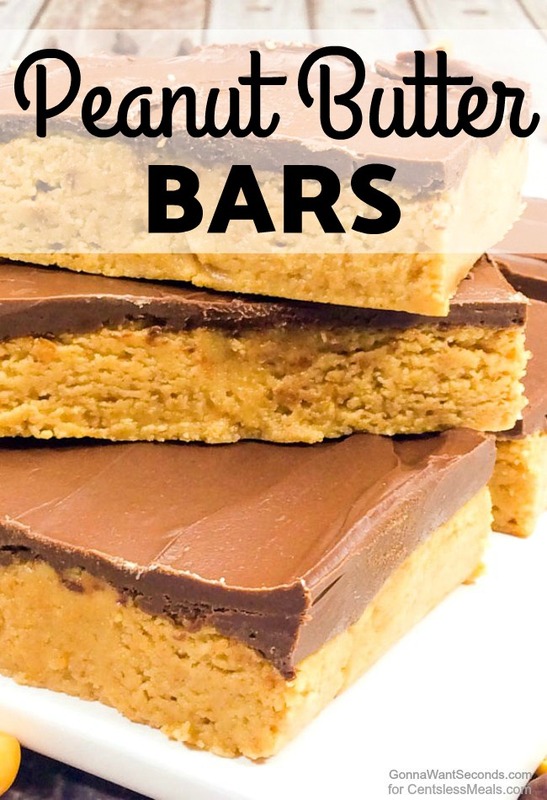 I mean, they’re basically a peanut butter bar with a brownie on the bottom. 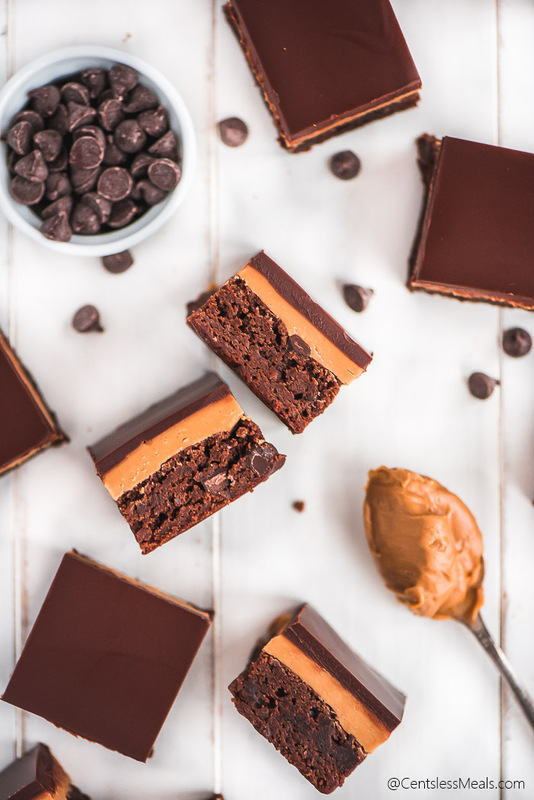 I don’t know about you but when chocolate peanut butter are in front of me, I lose all self control and these brownies are simply irresistible! That rich chocolate brownie in combination with the peanut butter and then the smooth creamy rich chocolate ganache is divine! 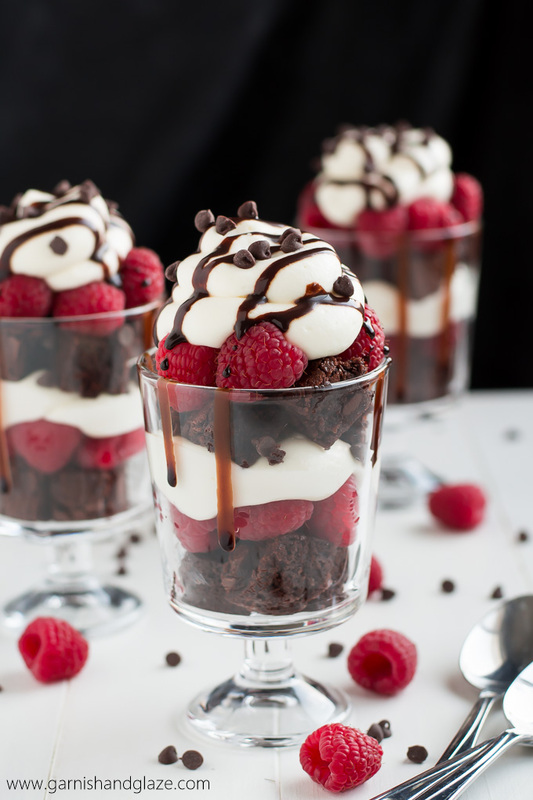 My mouth is watering just thinking about it. Preheat oven to 350 degrees F. Line a 9x13 pan with foil and then grease with cooking spray. In a large mixing bowl, mix sugar and cocoa powder together. Mix in the melted butter, eggs, and vanilla until smooth. 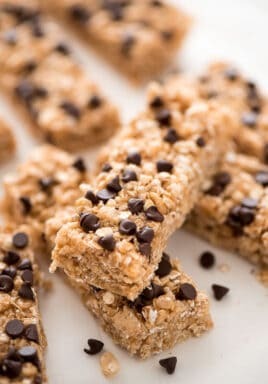 Add the flour and salt and mix until just combined, fold in the chocolate chips and then spread into the greased pan. Bake for 32-34 minutes. Cool. Place peanut butter and butter together in a microwave safe bowl. Heat in 30 second increments until butter is almost melted and stir until smooth. Mix in the vanilla extract and then the powdered sugar. Spread over the cooled brownies. Place in the freezer for 15 minutes. 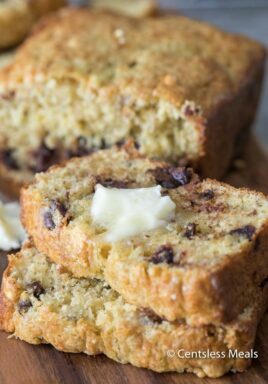 Meanwhile, place the chocolate chips and butter together in a small sauce pan. Heat over low heat, stirring constantly until almost fully melted. Remove from heat and keep stirring until smooth. Let cool for 5 minutes. Pour over the peanut butter layer and spread evenly. Refrigerate until set. Once set, lift brownies out of the pan by holding the edges of the foil. Slice into squares and serve. 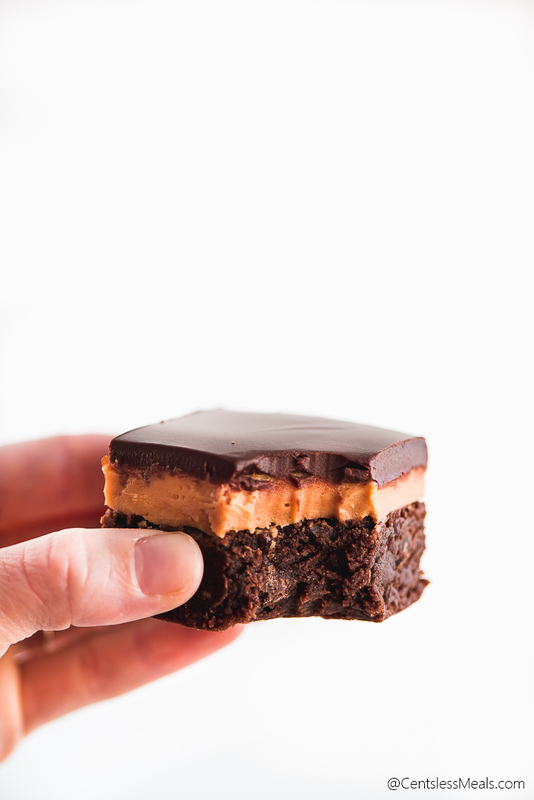 These Buckeye Brownies are the ultimate peanut butter chocolate dessert.